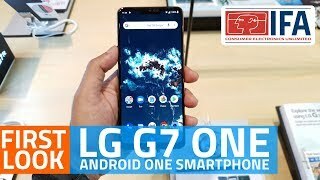 LG G7 One is bringing the last year’s chipset Qualcomm Snapdragon 835 and you know what last year there were rumors that Samsung has acquired all the chipset at that time but now LG’s G7 One is going to use that chipset in its chassis and a good thing about this phone is this that this phone is launching under Google’s Android One program in which LG G7 One’s software will be Android Oreo 8.1 and soon after the launch it will be upgraded to Android 9.0 Pie which is a great news for the users of this phone because G7 One by LG will be among first smartphones that will get latest Android operating system just within few weeks of the official launch. The display size of this phone is 6.1 and resolution of LG One will be QHD Plus. 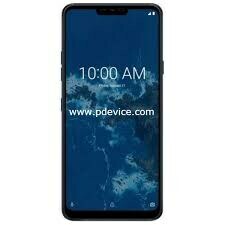 Thinking of the ratio then you will get excited when you will listen that Notch is not going anywhere and this phone has a ratio of 19.5:9.